Our Soy Candle Wax is an excellent casting material to add to your candle making supplies. 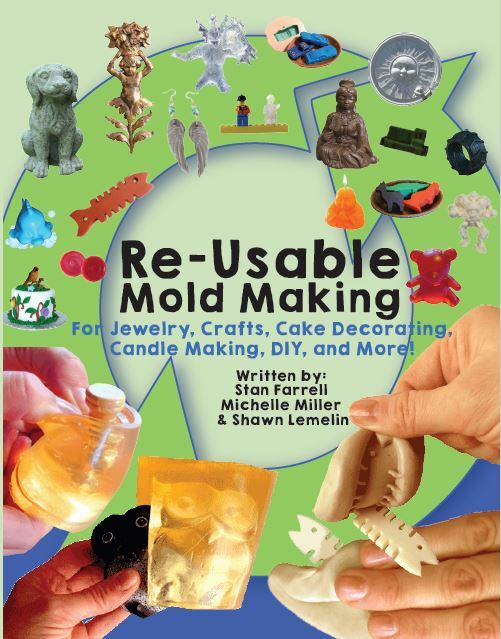 It is ideal for use with ComposiMold's Reusable Mold Making Material. You too can make unique candles of almost any object you choose! Comes with 1 foot of wick. The Soy Candle Wax has a melting Point of 122 deg.F. To use, melt the Soy Candle Wax to 122-155 F, Wait until the wax is below 120 F before pouring into your ComposiMold Molds. All NATURAL and biodegradable. manufactured meeting FDA standards. Kosher Certified. NOT tested on animals. Are considered generally recognized as safe (GRAS) under the Food, Drug and Cosmetic Act. Making candles is so much fun! soy wax is so easy to use, It melts right in the microwave! Plus, the candles look great!